The Budget Ordinance is the county’s financial plan for the next fiscal year, which begins July 1, 2015. It determines how much money each department receives to provide services such as fire and police protection, public transportation, water and refuse collection, and how much is collected from the public through taxes and fees. The budget also sets forth the amount of grant money offered to community organizations and establishes funding levels for capital improvement projects, such as road paving, park improvements and water system upgrades. Written testimonies may be emailed to bf.committee@mauicounty.us, referencing BF-1. Note: This schedule is subject to change without notification. Please call the Budget and Finance Committee staff at 270-7838 if you have any concerns. 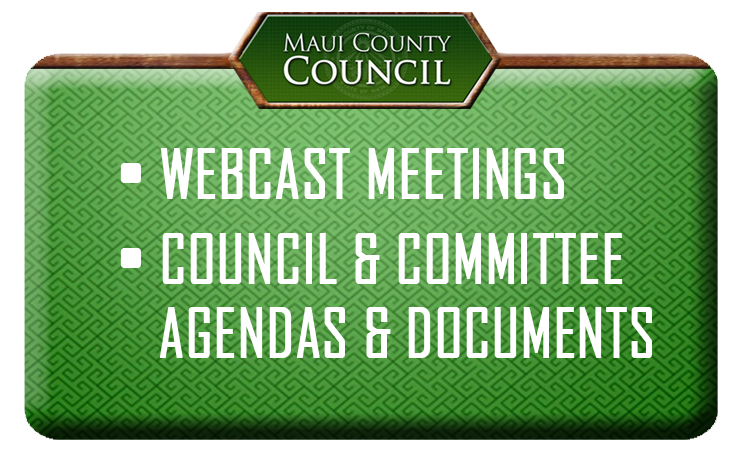 The Budget and Finance Committee will hold evening meetings throughout Maui County next month to receive community input on the Fiscal Year 2016 budget. 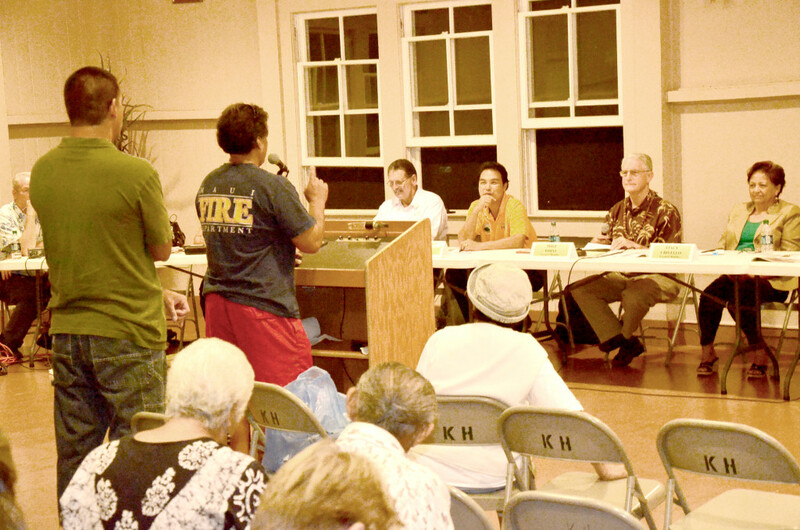 The meetings are scheduled to begin at 6 p.m., except for the Molokai and the joint Wailuku-Kahului district meetings, which are scheduled to begin at 6:30 p.m. The public is invited to testify. Testimony will be accepted at every district meeting and at each committee meeting conducted in the Council Chamber. Each testifier will be allowed to speak for three minutes per meeting. If a testifier wishes to submit written testimony, 18 copies are requested. For tips, visit How To Testify. For special accommodations during any of the meetings, please call 270-7838 at least three days in advance.